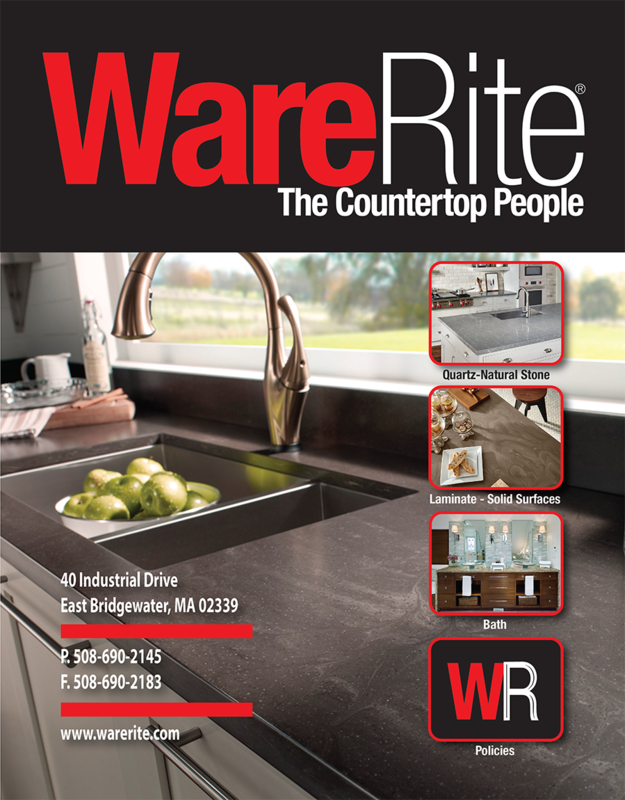 Warerite Distributors, located in East Bridgewater Massachusetts, is a local, full service countertop manufacturer specializing in top quality wholesale countertops sold through select dealers, and independent contractors. As a local fabricator, we save you time and money on the best quality countertops, and our expert installers provide professional installation to ensure just the right fit for your unique application. Water-proof wood countertops with the option of integrated sinks! A variety of wood species, colors, and edges. Our mission is to meet or exceed our customer's expectations each and every time, through timely execution, prompt scheduling and clear communications. It takes an emphasis on people and training to accomplish that goal. Our staff are long time employees with years of experience in the countertop business. Our quoting team is composed of former manufacturing line employees who know the products we sell and understand what it takes to go from a rough concept to a finished installation. Our installation staff are skilled professionals with many years of experience and undergo frequent product training and full background checks. We Will always be honest and open in our communications with you and/or your customer. We will treat you and your staff with the respect and courtesy we expect for ourselves. We will do what we say we will do and we will do it without placing an undue burden on you or your customers. We will offer you a quality name brand line of products, fabricated in our shop, a competitive value at an affordable price that is profitable for our mutual success. We stand behind the products and installations we provide, achieving full customer satisfaction! We will react to any issues and work quickly to resolve them. We will communicate promptly, keeping you informed about your order status. If we fail to live up to the high standards we have set for ourselves, and you feel you've not received prompt and responsive service from our customer service team, please contact me directly.